Zolt is an electronics company that designs and manufactures the world's smallest, lightest, and smartest laptop charger. With Big Apple Buddy’s personal shopping service, you can now buy direct from the USA Zolt online store anytime, anywhere. 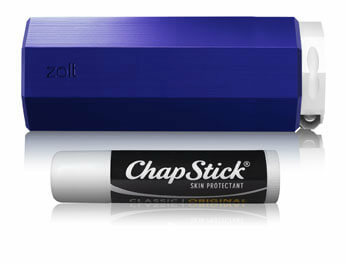 Zolt's Laptop Charger Plus was created with the goal to reinvent the laptop power adapter for the digital age. This revolutionary charger is capable of powering up your laptop, phone, and tablet all at the same time, so you no longer have to wait for one device to be fully charged before charging another! This gadget is perfect for anyone with multiple electronics or for someone who travels often: it will help you travel lighter and more efficiently! 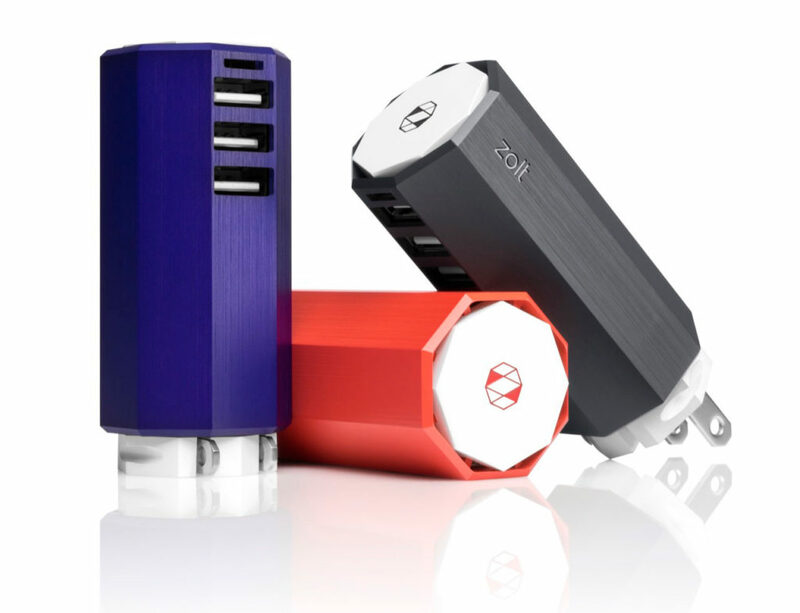 All you need is one outlet, and with this charger from Zolt, you can power up multiple gadgets. It doesn't just have to be your phone or a tablet, either--you can use the Zolt charger to charge your GoPro, portable speakers, camera, and more. 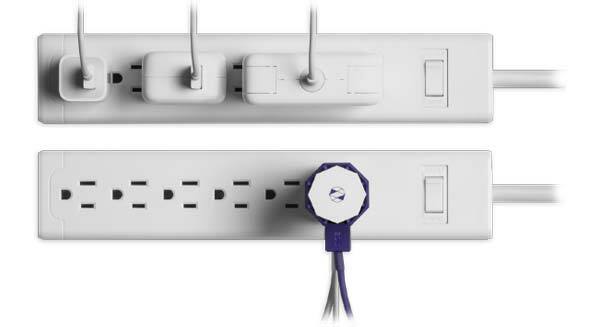 The Zolt can also rotate up to 90 degrees, which comes in handy if you need to free up an adjacent outlet. Its compact size will fit your busy, hectic lifestyle: you no longer have to worry about leaving room for all your chargers while packing! What would normally require three different chargers and three different outlets now just needs one Zolt Laptop Charger Plus. This device works with all major PC brands, and their website also features a Compatibility Checker which allows you to make sure that your electronics will work with the charger. But for the most part, there's no need to worry- this charger was designed to be compatible with as many different brands and devices as possible! So forget the days of lugging around multiple different heavy chargers--now you can do it all in one! Your suitcases and backpack will thank you for the extra room and less weight. Unfortunately, the USA Zolt online store does not currently offer international shipping. However, Big Apple Buddy, your personal shopper, can help you buy products direct from the official USA Zolt online store and ship them to your doorstep, no matter where you are in the world. We offer international shipping to over 110 countries including Australia, Austria, Azerbaijan, Bahrain, Belgium, British Virgin Islands, Brunei, Bulgaria, Canada, Chile, Costa Rica, Croatia, Czech Republic, Denmark, Estonia, Fiji, Finland, France, French Polynesia, Germany, Gibraltar, Greece, Greenland, Hong Kong, Hungary, Iceland, Indonesia, Ireland, Israel, Italy, Japan, Jordan, Kuwait, Latvia, Liechtenstein, Lithuania, Luxembourg, Macau, Malaysia, Maldives, Malta, Marshall Islands, Mauritius, Monaco, the Netherlands, Netherland Antilles, New Zealand, Norway, Oman, Poland, Qatar, Romania, San Marino, Saudi Arabia, Serbia and Montenegro, Seychelles, Singapore, Slovak Republic, Slovenia, Spain, South Africa, St. Lucia, Sweden, Switzerland, Taiwan, Thailand, the UAE, the UK, Vatican City, and Vietnam. If you would like to buy from the USA Zolt online store, simply let us know which items you would like to order (by filling out the form below) and we’ll get back to you with a free international shipping quote within 24 hours!